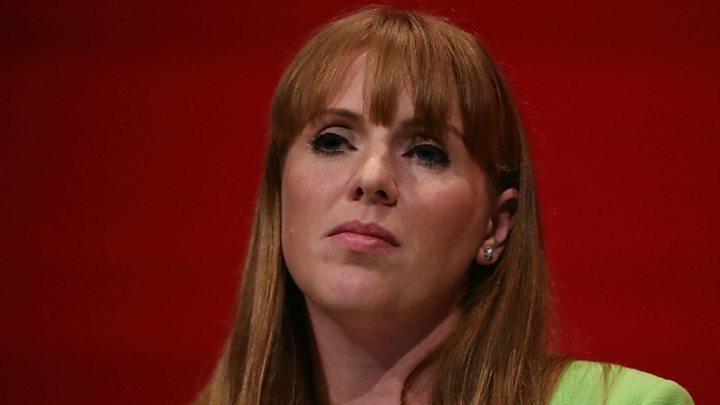 Shadow education secretary Angela Rayner has said she is "proud" of her northern accent after online abuse. The MP for Ashton-under-Lyne was called "thick" following a TV appearance. Ms Rayner, from Stockport, said on Twitter: "Anonymous hard right accounts attacking my accent again saying l am thick etc, I will reiterate I am proud of my accent and will not change!" Linguistics expert Rob Drummond said the prejudice she faced was a form of discrimination which was "damaging". The senior lecturer from Manchester Metropolitan University told the BBC: "I think it is really bad that in this day and age, people are still getting abuse for the way they speak. "If you just exchange accent for something to do with ethnicity or gender or sexuality, you can see how wrong it is." 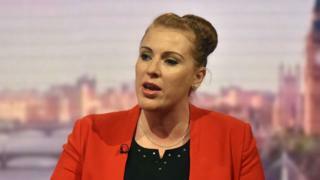 Yvette Cooper tweeted support to her fellow Labour MP, saying: "Shameful - and also really very pathetic - abuse towards brilliant Angela Rayner today. Won't deter her from carrying on doing great job." Mr Drummond said the Labour MP's accent should be celebrated. "She has an authentic accent for the region - the social background she has. It's part of her. "There are very few people whose accents actually match the people they represent. "Part of her appeal is she is so genuine, she is authentic." Mr Drummond said regional accents have become more prominent across the media, but there are still relatively few in politics. There have also been examples of "reverse snobbery" in politics, he said. Tory MP Jacob Rees-Mogg struggled with his "posh RP [received pronunciation] accent" when he was trying to get elected in Fife. "He had no chance," said Mr Drummond. "He has said that as soon as he opened his mouth, he realised he was just losing votes." It is not the first time Ms Rayner has spoken about her accent. Speaking in October 2016, she told told the BBC: "[My accent] gives me a bit of stealth, so I don't mind if people want to think I'm stupid and thick, then more fool them. "If you want to underestimate me because I speak like a Mancunian, like the people I grew up with, then so be it at your peril."